Thiruvananthapuram: Returning to competitive cricket after the Test tour of Australia, Rishabh Pant slammed a quick half-century while Shardul Thakur starred with the ball to guide India A to a fourth straight win over England Lions in the unofficial ODI series here Tuesday. Asked to bowl first, Thakur picked up 4 for 49 as his new-ball spell helped India A topple the visitors' top-order and leave them tottering at 55 for 4 by the 15th over. But half-centuries from Ollie Pope (65 off 103) and Steven Mullaney (58 off 54) helped England Lions resurrect their innings. However, the visitors still could only manage 221 for 8 in 50 overs. India got home in 46.3 overs with six wickets in hand, largely due to the efforts of Pant. 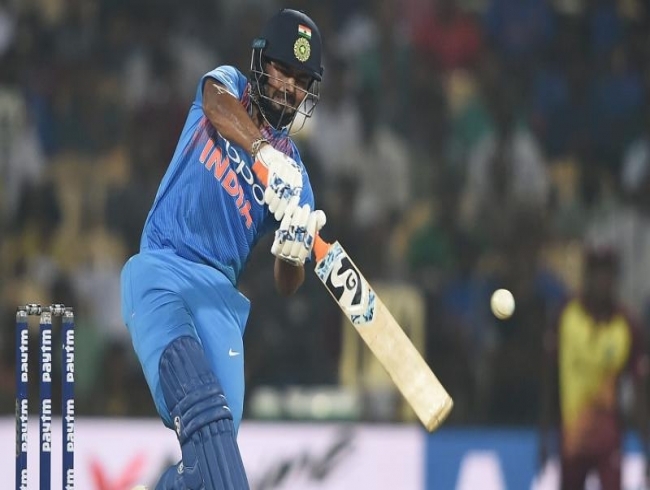 Chasing the target, KL Rahul, who alongside Hardik Pandya is facing an inquiry by a yet to be appointed Ombudsman for their loose talk on women during a TV show, made 42 off 77 balls while opening the batting. The Karnataka batsman was finally amongst the runs after a dismal tour of Australia. But it was a fluent Pant who stole the limelight with a fluent 73 off 76 balls that included six boundaries and three hits over the fence. Pant shared an unbeaten 120-run partnership with Deepak Hooda, who made a run-a-ball 47, took India home with 21 balls to spare in the five-match series. Pant will play the fifth and final game of the series before flying out to New Zealand for the three T20s. Pant and Hooda's partnership took the game away from England Lions after they removed opener Ruturaj Gaikwad for a duck and then reduced India A to 102 for four in the 28th over. Medium-pacer Will Jacks was the pick of the bowlers for England Lions with figures of 2 for 35. The final ODI of the series will be played on Thursday.